Sammie Tucker's life undergoes drastic changes when her mom is hospitalized. She wants things to be normal and have a mom, who bakes cookies, takes her shopping, and does all the special things her friends' mothers do for their kids. When things get worse by the minute, she learns who she can trust and how to evaluate relationships apart from the opinions of others. Mystery shrouds a great deal of her past, and she's desperate to know the truth. This novel is set in Graham Camp, Texas in 1958. I relished the familiar details of that era. The author did her homework. Someone said, "No tears in the writer, no tears in the reader." In certain parts of the book, Carla Stewart must have cried buckets because I sure did. She gets into the mind and heart of a young girl, who's trying to sort out her life. If you enjoy character-driven books, you'll be drawn into this story immediately. Carla does a wonderful job with the entire cast and brings the tale to an exciting conclusion. I'm glad I discovered this author's work through book reviews and hope you'll discover her novels as well. Writers: There's a lot of inner dialogue in this book. How do you give your readers insight into the minds of your characters? Readers: How do you feel about stories with young main characters? Do they captivate you or must they be closer to your age to resonate? I don't mind young characters if they grab me (like Scout in To Kill A Mockingbird). Thanks so much, Susan, for this great review! This story has a special place in my heart, and I'm always thrilled when someone discovers it. Hi Jess - Thanks! I hope you'll pick up one of Carla's books. They were delightful. I love character driven books, and a good test of great writing is how many tissue you use! Sounds like Carla passed the test. Age doesn't matter to me, as long as the story is well-crafted. I like them, although I generally gravitate toward my peers or a little younger. This makes me think of the Anne of Green Gables series and To Kill a Mockingbird. I love to read about young characters. In fact my favorite age group to read about is women between late teens to late twenties. I'm typically not keen on young characters but I must confess: at my granddaughter's pleading I read the Twilight Saga and actually liked the young people there. I know ... not exactly what you'd expect a Sassy Granny to read. I'm still surprised myself. This sounds like a wonderful story and very inspirational. Thanks for posting about it. Hi Jen - I went through quite a few tissues. Hi Karen - LOL! There aren't enough books written with characters in my age range. Hi Dena - I also like reading that age range. Hi Kathi - Thanks for stopping by. I loved how this character grew and matured. 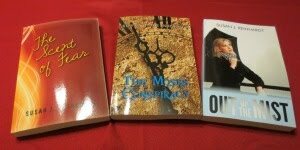 Character-driven novels are my favorite, so age isn't really a factor for me. 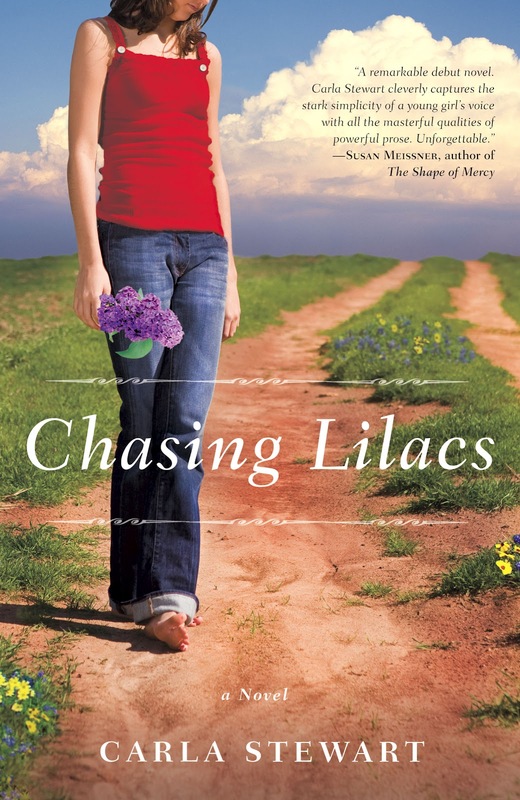 When I look back at how I rated books over the last few years, young hero/heroines earned my highest scores: "The Scent of Lilacs" by Ann H. Gabhart, "Saving Sailor" by Renee Riva, "William Henry Is a Fine Name" by Cathy Gohlke, and, of course, "Chasing Lilacs" by Carla Stewart. I even wrote Carla a note, begging for a sequel! Cathy Gohlke is one of my favorite writers and a good friend. I'll be posting a recommendation for her new book soon. She'll also be doing an interview with me.